Under previous California law, the Department of Motor Vehicles or the California Courts will typically suspend the driver’s driving privilege for up to a year on a first time DUI, and place the driver on probation. DUI offenders who are placed on probation are prohibited from driving with any measurable amount of alcohol in their blood, and are required to submit to a preliminary alcohol screening test if asked to do so by an law enforcement officer. If that person is subsequently found to be driving with a blood alcohol level under the legal limit, an ensuing suspension of driving privileges would not occur. A suspension of the driver’s license would only occur if the person was convicted of a second DUI. A subsequent conviction would require driving with a blood alcohol level over the legal limit. As of 2009, California law creates new authority for the DMV to administratively suspend driving privileges for one year if the driver is found with any level of alcohol in their system. This new law follows California’s zero tolerance standard. The new law authorizes law enforcement to issue a notice of suspension and impound the driver’s vehicle. Hiring an experienced California DUI defense law firm can greatly increase your chances of keeping your license. 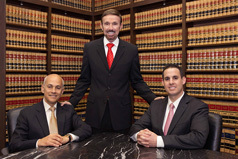 The attorneys at Wallin & Klarich have been helping people keep their license for over 30 years. Please feel free to contact Wallin & Klarich to discuss your case. You can reach us 24 hours a day, 7 days a week at 877-466-5245 or go to our website at wklaw.com for more information.